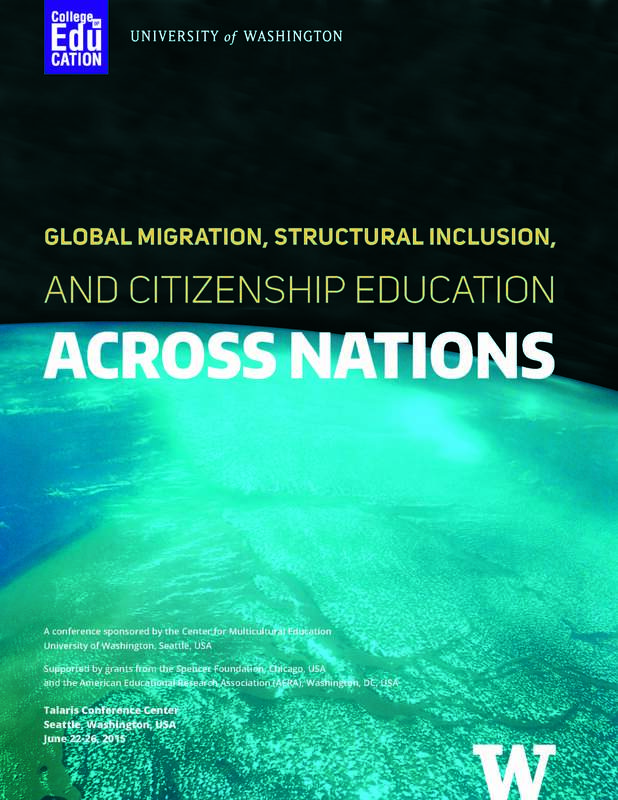 Global migration and the increasing racial, ethnic, cultural, and linguistic diversity in nation-states around the world—and the growing recognition and legitimization of diversity—are causing educators to rethink citizenship education. Many students from ethnic, racial, linguistic, and religious minority groups have weak identifications with their nation-states because they feel structurally excluded and marginalized within their schools and nations. A conference organized by Professor James A. Banks at the University of Washington included colleagues from 14 different nations who explored research, theory, and practice that revealed how citizenship education courses and programs can be reimagined and changed so that they will help students from marginalized groups attain a sense of inclusion within their schools and nation-states, political efficacy, and clarified national identities. These researchers described research and case studies of innovative school civic education courses and programs. Each case study profiled an effective teacher who was helping a minority group or groups develop a sense of structural inclusion within the nation-state and clarified national identities. Important outcomes of this conference included a set of research questions, innovative research methods, and concepts related to global migration, diversity, and citizenship education. 1. To provide a forum in which researchers and scholars in multicultural education and citizenship education from different nations of the world can share research and case cases of innovative school civic education courses and programs for marginalized groups of students. 2. To explore research, theory, and practice about ways to reconceptualize and change citizenship education courses and programs so that they will help students from marginalized groups attain a sense of inclusion within their schools and nation-states, political efficacy, and clarified national identities. 3. To develop a book manuscript from the revised conference papers that will be published by a major publisher. 4. To create a network of multicultural and civic educators that will be sustained by interactions at the annual meetings of organizations such as the American Educational Research Association (AERA), the Comparative and International Education Society (CIES), the College and University Faculty Assembly of the National Council for the Social Studies (CUFA), and the International Association for Intercultural Education (IAIE). Historically, public schools in the United States took on civic education as one of its primary missions. In the present environment, schools do not devote sufficient time and effort to civic education, nor is civic education high on the priority lists of influential policy makers. 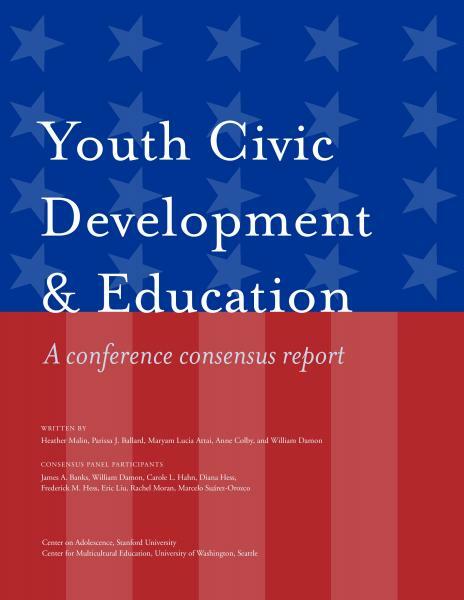 This report calls upon schools throughout the nation to take greater responsibility for civic education and offers a set of guidelines for addressing the civic needs and interests of our diverse student population in the 21st century. Please click here to see the flyer and agenda. Linda Darling-Hammond is the Charles E. Ducommun Professor of Education at the Stanford University School of Education, where she launched the School Redesign Network, the Stanford Educational Leadership Institute, and the Stanford Center for Opportunity Policy in Education. Darling-Hammond is author or editor of more than a dozen books and more than 300 articles on education policy and practice. Her work focuses on school restructuring, teacher education, and educational equity. She was education advisor to Barack Obama's presidential campaign. International multicultural education was the theme for a daylong conference at the UW Friday, Oct. 30, 2009 that was also a book launching event for The Routledge International Companion to Multicultural Education, edited by the UW's James Banks. 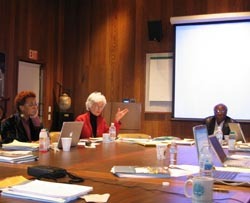 The conference, titled Education for Diversity in a Global Society, featured authors whose work appears in the volume. Kenneth Zeichner, Boeing Professor of Teacher Education, UW College of Education. Authors of the Companion gave an overview of the volume, the historical development of multicultural education in their nations and the major debates in the field. They will also made scholarly observations and predictions about the future of international multicultural education. A major objective of this conference was to facilitate a comparative study of multicultural education across nations and to discuss the implications of education and diversity in other nations for enriching theory, research, and practice in the United States. The conference was sponsored by the UW Center for Multicultural Education, the Office of Minority Affairs and Diversity, the Diversity Research Institute, the Canadian Studies Center and the Center for Curriculum Transformation at the UW. The Routledge International Companion to Multicultural Education is the first reference work to provide a comprehensive international description and analysis of multicultural education from many nations, including the United States, the United Kingdom, Canada, Australia, France, Germany, Norway, Indonesia, Brazil and Mexico. The volume consists of 40 newly commissioned chapters written by a prestigious group of internationally-known scholars. The increasing number of immigrant students, English Language Learners, and students of color in U. S. schools present educators with myriad challenges. Along with the challenges come opportunities to enrich teaching and learning through deep and meaningful engagement with diverse communities. The LIFE Diversity Consensus Panel convened by the LIFE Center (The Learning in Informal and Formal Environments Center), an NSF Science of Learning Center, and the Center for Multicultural Education, collaborated to put together a report that addresses questions such as, “How can educators help close the achievement gap by building upon the languages and other learning that occurs in the home and community cultures of students from diverse groups?” The resulting report of their findings is entitled, Learning In and Out of School in Diverse Learning Environments: Life-Long, Life-Wide, Life-Deep. At the conference, the report was released and dissemintated. Handel K. Wright is an Associate Professor in the department of educational studies at the University of British Columbia. His research interests include the development of African cultural studies, the intersection of cultural studies and education, Black and African identity/identification, and social difference in qualitative research. He has published on a variety of issues including African cultural studies, the transition from literature studies to cultural studies, drama studies in Africa, North American curriculum theorizing, and the notion of an endarkened feminist epistemology. In 2004, he published a book entitled: A Prescience of African Cultural Studies. He is currently doing research on how Canadian and American multiculturalism represents complex new youth identities. David Allen is Chair of the Department of Women Studies at the University of Washington. He is also a professor of Psychosocial & Community Health. 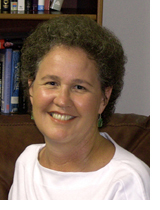 The focus of Professor Allen's work has been the intersection of nursing and social justice. Rebecca Aanerud is currently the Associate Director of the Center for Innovation and Research in Graduate Education (CIRGE) at the University of Washington. She is also a lecturer in Women Studies. She has a number of publications in field of critical race theory and whiteness studies. Jonathan Warren is Chair of Latin American Studies and Associate Prof. of International Studies. Within the broad area of critical race studies he has focused on whiteness, racism literacy, racial identity formations, and the links between everyday practices and racism in the US and Brazil. Prof. Warren is currently working on a comparative study of modernities in Brazil and Vietnam. 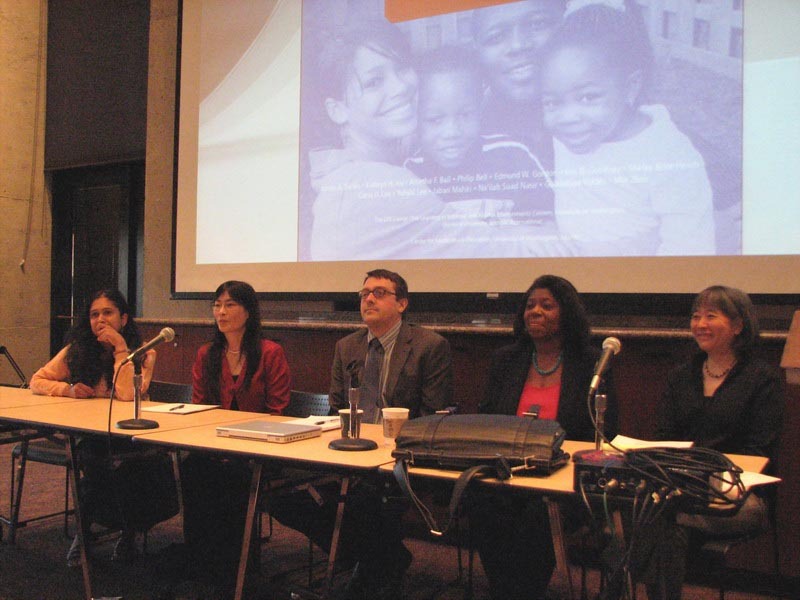 The Center for Multicultural Education and the Center for Learning in Informal and Formal Learning Environments (LIFE) established a LIFE Diversity Consensus Panel during the 2004 -2005 academic year. The overall purpose of the LIFE Center is to understand and advance human learning through a simultaneous focus on implicit, informal and formal learning, thus cultivating generalizable interdisciplinary theories that guide the design of effective new technologies and learning environments. The Center’s mission is threefold: (1) conduct scientific research; (2) develop collaborative partnerships; and (3) build capacity. As a component of the LIFE project, the LIFE Diversity Consensus Panel is focusing on ways in which learning in informal settings can enhance the academic achievement of students of color and students who speak a first language other than English. The goal of the LIFE Diversity Consensus Panel is to identify what we know about diversity and informal learning and what we need to know. 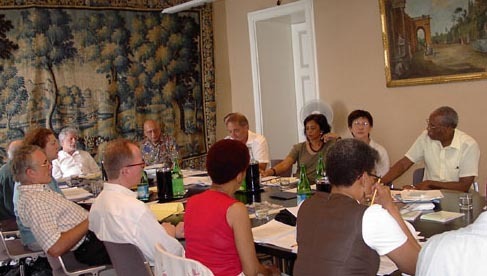 At its first meeting on the University of Washington campus on March 16 to 18, 2005, the LIFE Diversity Consensus Panel decided that its report would consist of two parts, a booklet and a DVD that would illustrate and give examples of the principles and concepts described in its report. The Panel presented a public forum related to its work at the University of Washington on March 17 that focused on “Diversity in the Twenty First Century: Learning Challenges and Opportunities.” The public forum was attended by more than 100 researchers and practitioners in the Seattle metropolitan area. 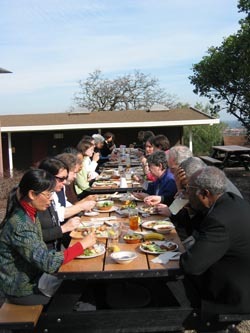 The second meeting of the LIFE Diversity Consensus Panel took place in January 2006 at the Center for Advanced Study in the Behavioral Sciences at Stanford, where James A. Banks, the chair of the committee, was a Fellow. The Center for Multicultural Education hasdeveloped a research and theory based guidelines for implementing citizenship education programs that focus on democracy, diversity and globalization. The report, which was developed by an International Consensus Panel and an International Review Committee, is title: Democracy and Diversity: Principles and Concepts for Educating Citizens in a Global Age. At the conference, the report was released and dissemintated. Professor James A. Banks presented the 29th Annual UW Faculty Lecture entitled Democracy, Diversity and Social Justice: Education in a Global Age. Professor Banks has been a researcher and leader in efforts to increase educational equality for all students in the United States and the world for more than three decades. As a fifth grade teacher in Chicago, then as a graduate student at Michigan State University, as a professor at the University of Washington beginning in 1969, Banks has pursued questions related to education, racial inequality, and social justice in more than 100 journal articles and 20 books. His most recent book, Diversity and Citizenship Education: Global Perspectives, examines the unity-diversity tension in 12 nations. Streaming media of the Banks lecture is available at www.uwtv.org (high-speed connection required). 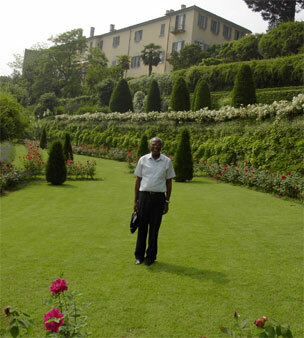 An International Conference Sponsored by the Center for Multicultural Education, University of Washington, Seattle was held at the Bellagio Study and Conference Center in Italy. This conference was supported by the Rockfeller Foundation, New York and the Spencer Foundation, Chicago. The increasing racial, ethnic, cultural, and language diversity in nation-states throughout the world, and the growing recognition and legitimization of diversity, are causing educators to rethink citizenship education. 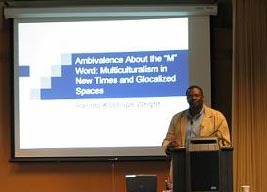 The world-wide ethnic revitalizations movements are challenging assimilationist notions of citizenship education and insisting that diverse cultures be reflected in the school, college and university curriculum. However, every pluralistic nation-state must also be concerned about unity and a set of shared values that will cement the commonwealth. This conference was held so that researchers could share findings about how citizenship education programs in different parts of the world deal with issues of unity and diversity. 1. To provide a forum in which educators from different parts of the world could exchange ideas and research about ways to create effective citizenship education programs that promote unity and diversity. 2. To develop a network of civic and multicultural educators in different parts of the world whose interactions will be facilitated by future interactions at annual conferences of the American Educational Research Association (AERA) and the Comparative and International Education Society (CITES). 3. To develop guidelines and benchmarks that can be used by school practitioners who are responsible for civic education programs in public and state schools. 4. To develop a manuscript from the conference papers for an edited book. Diversity and Citizenship Education: Global Perspectives, James A. Banks, Editor. Publisher: Jossey-Bass/Wiley, 350 Sansome Street, San Francisco, CA 94104.